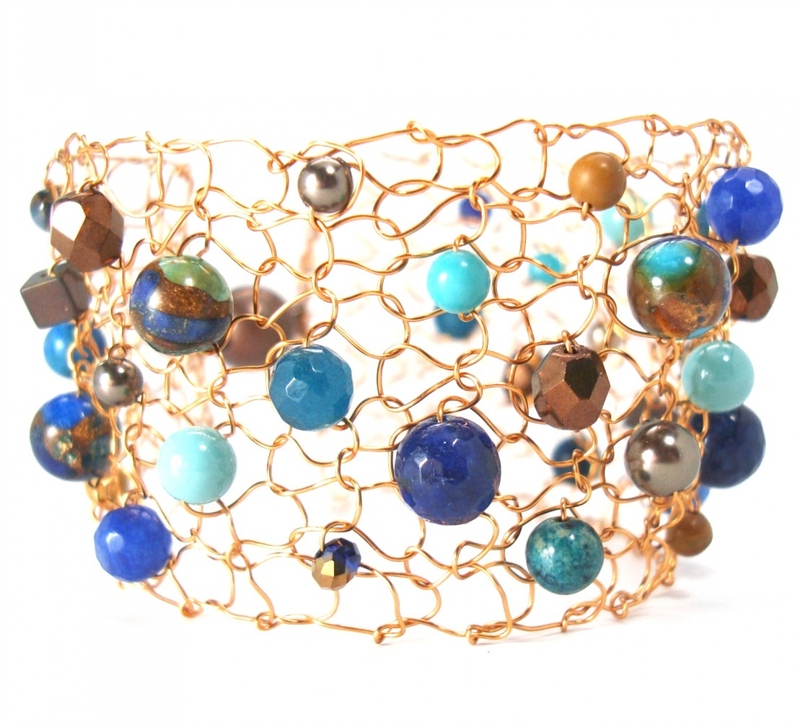 Gorgeous bronze wire hand knit cuff bracelet containing jasper, turquoise, lapis blue jade, crystals and pearls. Gorgeous colorful beaded cuff bracelet for her. 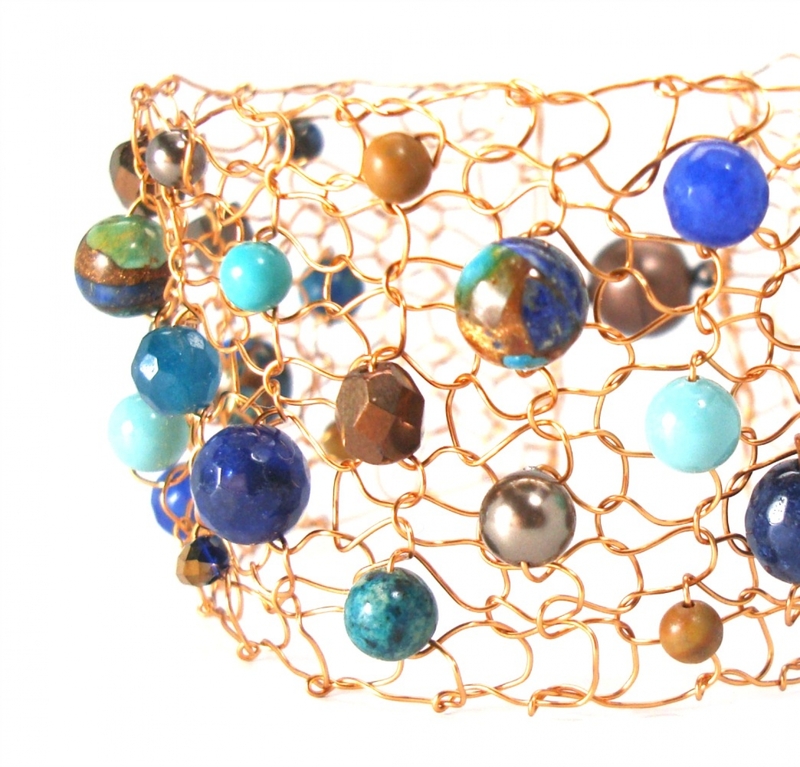 This Bronze Metallic Turquoise Lapis Cuff - this bracelet is hand strung and hand knit utilizing gorgeous stones and beads. 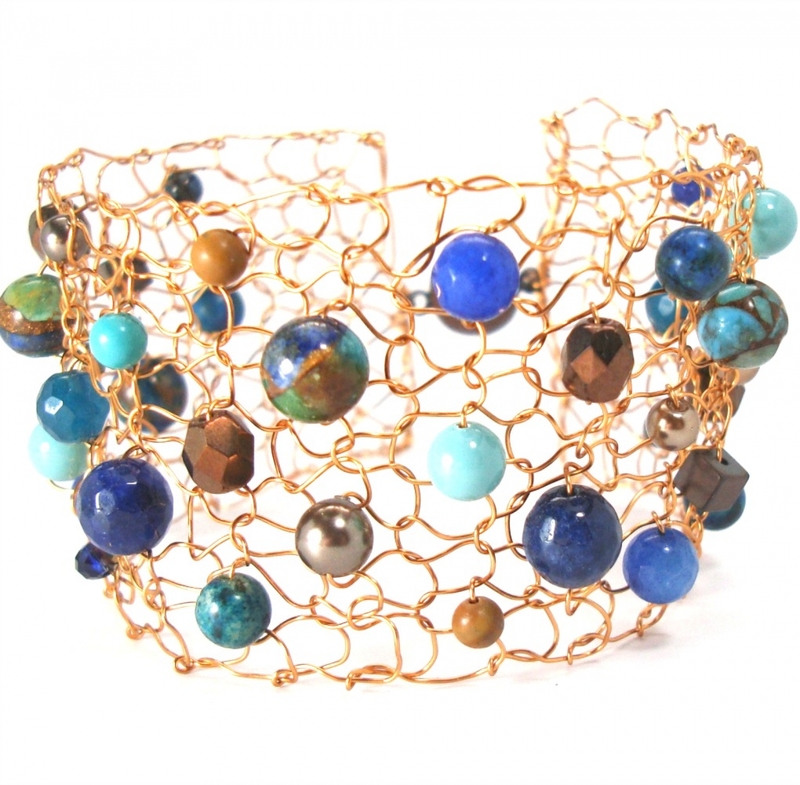 In this mix you will find semiprecious turquoise, jasper, jade, pearls and crystals knit onto bronze metallic wire. Each cuff is one of a kind as the beads dance about differently every time. Beautifully feminine, intricate and striking. It is finished with a strong magnet for convenience. Please remember to slide the magnets (rather than pull apart) so you do not accidentally pull a magnet out of the casing. This Bracelet is about 1 1/2" wide and will be knit to your specific wrist length.